Stand up paddle boarding is catching up fast worldwide and Bermuda is not lagging behind by any means. Paddle board surfing in fact started in Hawaii but gradually developed into a fun way of exploring the water. As the name suggests, there is a board on which you will stand and with the help of an oar, you will keep pushing it on the water. So does it require a lot of balance and experience? Well these days even the first timers can also enjoy the paddle boarding. 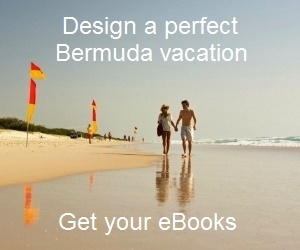 In Bermuda it's more like a nice family adventure tour. The boards are wide enough and quite stable,. So once you stand on them and put your feet at the marked places on the board, you will be fine. But some experience helps in navigating and efficiently moving around on the water. You should ideally choose a day when there is no or little wind, and a calm water area. 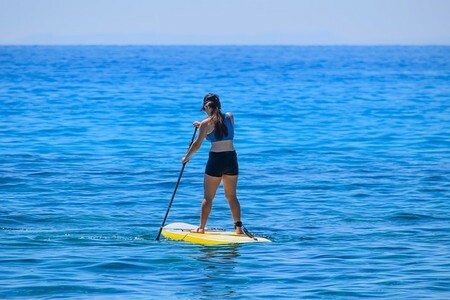 Stand Up Paddle boarding not only offers a great work out, but it's a great way to get a panoramic view from the water. Once you experience it, you will likely get hooked to this fun adventure. So how can you go about paddle boarding in Bermuda? There are couple of ways actually. Either you join a stand up paddle boarding group tour offered by an operator or rent a paddle board and be on your own. This is a group tour which leaves from the dockyard and is very convenient for cruise ship passengers. They will first take you on a fast boat cruise to a secluded beach site in Somerset. During this 30 minutes boat ride, the guide will tell you a lot about the history of Bermuda. On reaching the site, you will be given instructions on paddle boarding. If you are new, a short training will also be offered. After that the guide will lead the group on paddle boards along the sheltered coastline where the water is calm. Other times you may be taken to a protected and picturesque calm water inlet for paddle boarding. On your return to the beach site, you can have a swim at the beach and enjoy complimentary soft drinks. This is a group tour. The total tour duration is about 3.5 hours. The tour leaves daily adjacent to the Dockyard Watersports Center. Tour includes a professional guide, boat cruise with narrated commentary, complimentary soft drinks, paddle board & gears etc. You should carry your own towel and wear a swim suit inside if you plan to have a swim at the end. Indicative Tour Cost: $85/- per person, $65 per child (up to 12 years). They are located in Hamilton Parish and in the property of Grotto Bay Beach Resort by the water side. If your cruise ship is docked at Royal Naval Dockyard, you can reach them via Hamilton City or St George. They offer Paddle Boards on rent. The rent is $35 for first hour and $15 for additional hours. Their location gives you access to beautiful calm water areas suitable for stand up paddle boarding. The boards are also quite wide and stable. Surf SUP operates from the Daniel's Head Beach in Sandys (close to the cruise ship dockyard). They offer stand up paddle boards on hourly rent as well as guided tours. The Star Board Atlas or Blend Paddle Boards are offered at $30 for first hour and $15 for additional hours. Tours are available at $40 per hour (minimum two persons required). They offer paddle boarding gear rentals, tours, lessons and even used paddleboards for outright purchase. They also offer gear rentals for several other board sports like windsurfing, kiteboarding, wake boarding etc. The rental rate is $30 for first hour, $50 for 2 hours, $70 for three hours and so on. Just Add Water: They have a booking center on Water Street and their main operation is at St. George's Dinghy & Sports Club on Cut road. They offer ATX paddle boards on rent. Ideal to explore St. George's harbor. Select and book tour using World's #1 online service (Viator) at low prices.